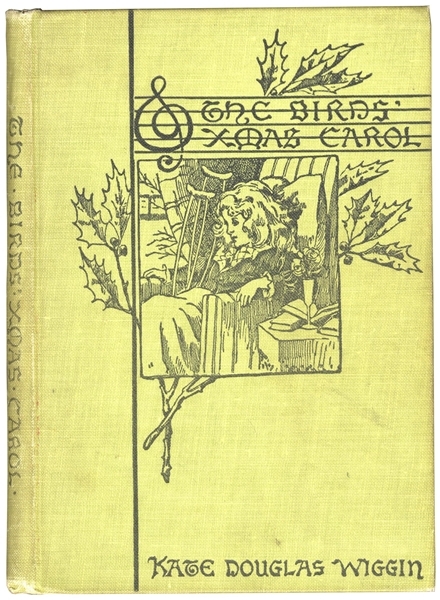 Kate Douglas Wiggin's signed presentation copy of her novel ''The Birds' Christmas Carol''. Boston & New York: Houghton Mifflin, 1888. 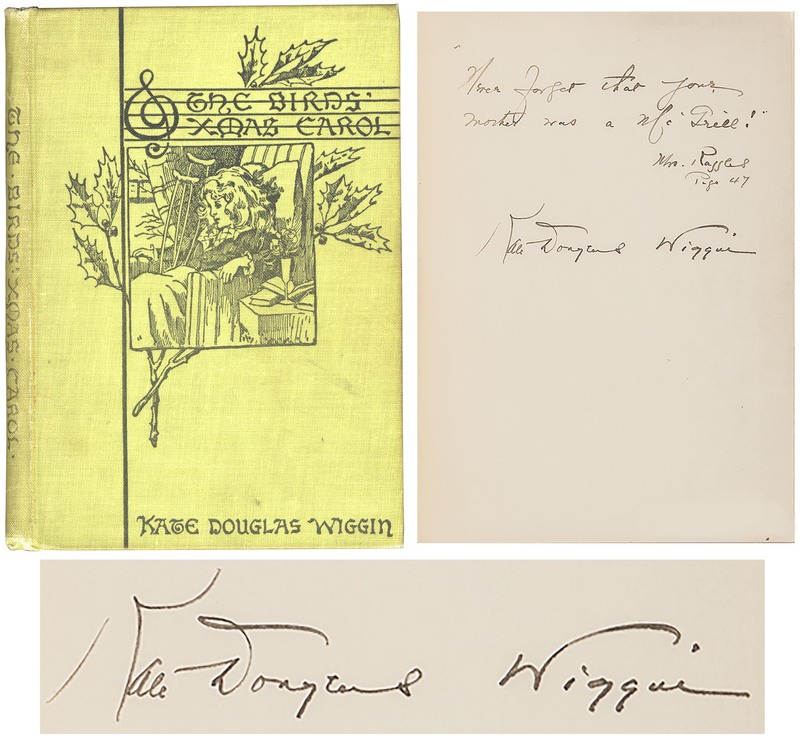 Wiggin was an important reformer of children's education at the turn of the century, as the first person to found a free kindergarten school in San Francisco in 1878. Her passion for children's rights carried over to her successful career as an author of children's books. ''The Birds' Christmas Carol'' tells the story of the angelic Carol Bird, a young girl born on Christmas, who tragically falls ill when she is five years old. 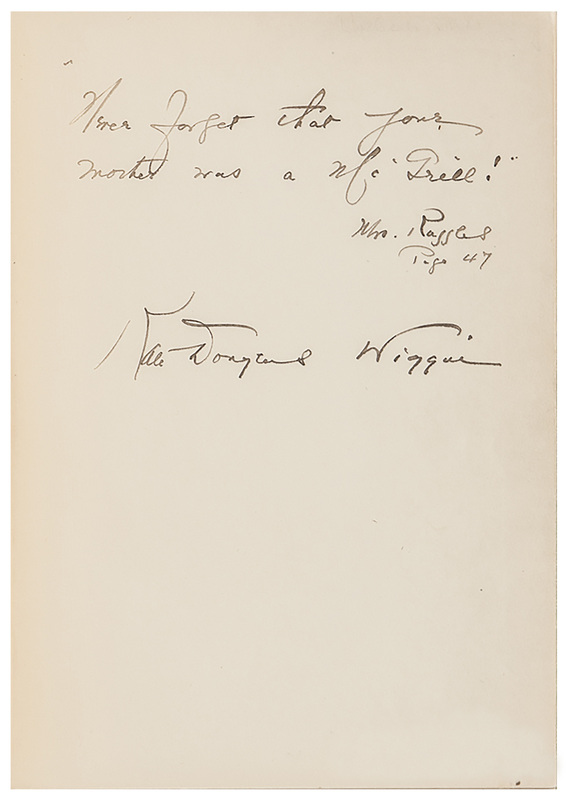 Wiggin pens a quote on the front free endpaper, '''Never forget that your mother was a McGrill!' 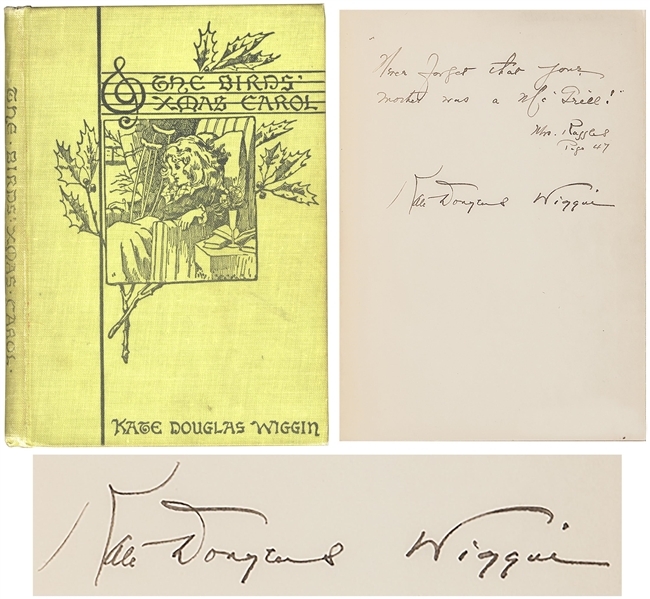 / Mrs. Ruggles / Page 47 / Kate Douglas Wiggin''. Illustrated book measures 5.25'' x 7.5''. Very good condition. A lovely signed copy. Auction closed on Thursday, April 25, 2019.